JD Sartain is a technology journalist from Boston. She writes for PCWorld, Network World, CIO, & several other tech magazines. Excel can send alerts based on spreadsheet data, but you'll need to write a macro to do it. We'll show you how. Excel creates most commonly used barcodes, either from free installed fonts, or add-ins for a price. Here's how. Excel tables have many benefits that regular spreadsheets lack. The biggest is the option to use data from multiple tables to create queries and reports. Can Microsoft Word read to you? Yes, it can. The Speak feature was incorporated into Microsoft Office back in version 2003. Here's how it works. Microsoft Word can translate a word, sentence, paragraph, or an entire document into 62 languages with a few clicks. Here's how. Can Excel show the column headers on every screen? Yes: Here's how to freeze and unfreeze columns and rows. Can Excel track changes? Yes, similarly to how Word does it. Here's how to add Track Changes to the Ribbon menu and use it with your spreadsheets. Excel can sort by cell color, font color, cell icon, and values. Here's how. You may have used Excel for years without delving into Styles (or stylesheets). We’re going to cover Cell Styles, and Smart Art, Drawing, Graphics, Picture, and Chart Tools. Excel macros are like mini-programs that perform repetitive tasks, saving you a lot of time and typing. Here's everything you need to know to start programming macros yourself. Using Excel as a scheduling tool is a great skill to have under your belt. Learn how to use SUM, DATE, WEEKDAY, IF, Nested IF, and IF/OR functions. You have just a few choices when working with PDFs and Microsoft Excel. 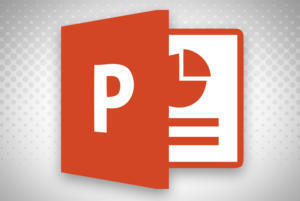 We'll show you how to export PDFs from Excel to Acrobat, and export from Acrobat to Excel.